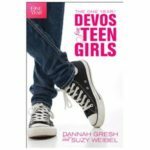 Even though Tori Grace is five, she is already aware of other people’s feelings–maybe because she is a sensitive to soul too. But our other two kids aren’t exactly the sensitive type and say things they shouldn’t or act out in ways that embarrass us as parents and hurt others in the aftermath. This week the verses we are going to read before journaling our prayers will consist of being sensitive to others. Jesus was a great example of putting himself before others. He washed his disciples feet, he didn’t throw stones at the adulterous woman, he healed the sick. And while our kids won’t exactly face what Jesus did, we can teach them to love others through sensitivity. This week as my little one’s journal prayers using JOY and my oldest using PRAISE, we will ask Jesus to help us reflect the elements in the verse for that given day. Note: JOY is the acrostic for Jesus-Others-Yourself and PRAISE is: Praise-Acknowledgement-Intercession-Supplication-Equipping. The LORD’S loving kindnesses indeed never cease, For His compassion never fail. 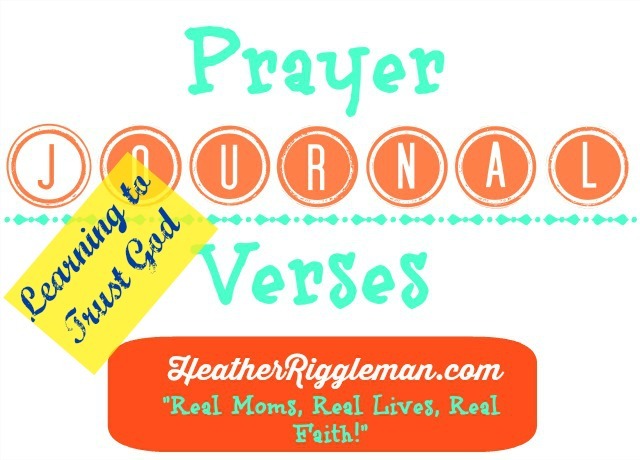 Want to begin praying as a family and journaling prayers? Click this link: http://bit.ly/RzUKDe . You will find out different ways to journal as a family and it includes freebie printouts too! Temptation. It comes in every shape and form. The worst temptation for me is when I can’t resist food and it affects my waistline, but for my children–it’s different. They are tempted to disobey and do things that aren’t good for them. And this summer has been tough. My son has regressed in terms of maturity and impulsiveness due to medication changes for his ADHD — you can read about that this coming Tuesday, but it has made parenting all the more frustrating because my daughter is tempted to do things her brother does. And both are tempted to disobey all the rules. So how do you teach your kids to resist temptation? 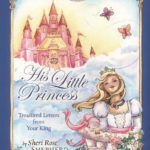 I’ve found the more I teach my kids passages and the more they memorize it–the better. When they disobey, I take a deep breath and then ask them about passages they’ve learned. As they recite it, I ask questions relevant to the passages and what they did. 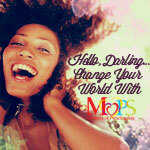 It reminds me why I’m their mother and my goal is a heart change–not just a change in behavior. 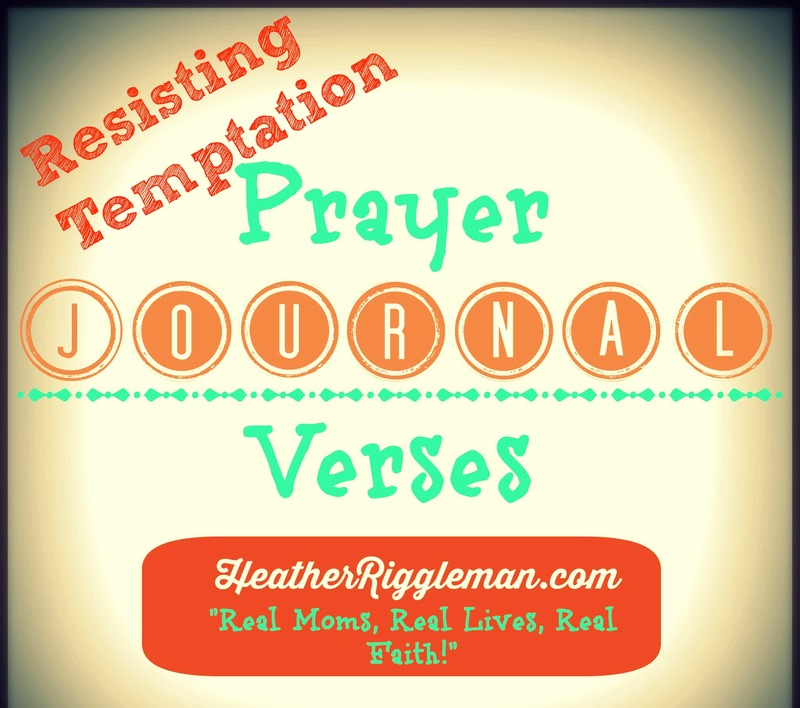 If you’re wanting changes and help with resisting temptation, take the time to read through the passages this week as you and your family journals. Share examples, insights, and whatever else may help your kids! Finally be strong in the Lord and his mighty power. Put on the full armor of God so that you can take your stand against the devil’s schemes. Be self-controlled and alert. Your enemy the devil prowls around like a roaring lion looking for someone to devour. Resist him, standing firm in your faith. 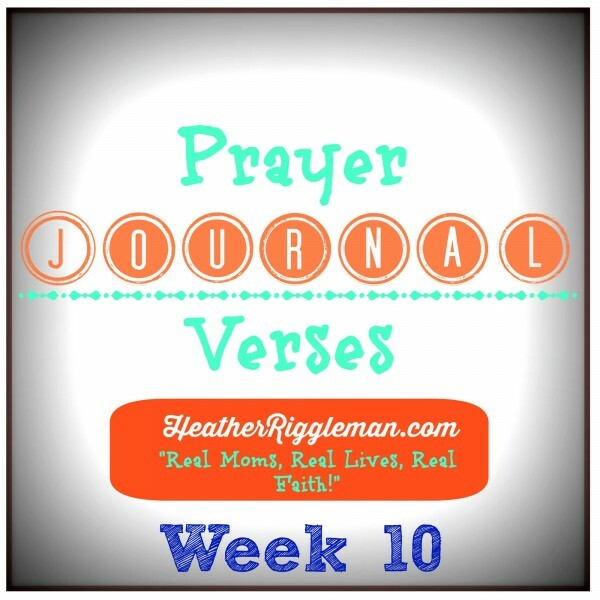 For your printable copy, click and download this week’s verses: Scriptures for Family Prayer Journals Week 13 Temptation. Sheets of rain poured down hard and fast, the paved white and yellow lines of the road disappeared. What on earth was I thinking, leaving the news station? For the last six hours, I had worked on cut ins to shows on ABC and FOX with the Weather Team in order to warn viewers in our area of tornado warnings, sightings, severe winds, and hail. Hours had passed since the hail fell at the station and I merely thought, it would be just be rain. Tired and already mentally checking off things on my schedule for Sunday at church, I ran to the suburban and got ready to drive home. The rain at the station had been pouring hard but it was nothing once I turned onto the highway. Scared to death of getting stuck in the ditch and not knowing how wide the shoulders of the road were, I white knuckled the steering wheel and cried aloud, GOD PLEASE HELP ME SEE. I figured I was a sitting duck to be hit by another car or to get sucked up into a tornado, so I kept inching along. The mere 15 minute drive to and from work took over an hour as I drove home. Wind whipped the suburban back and forth and I thought for sure at on point, the back end had been air born. 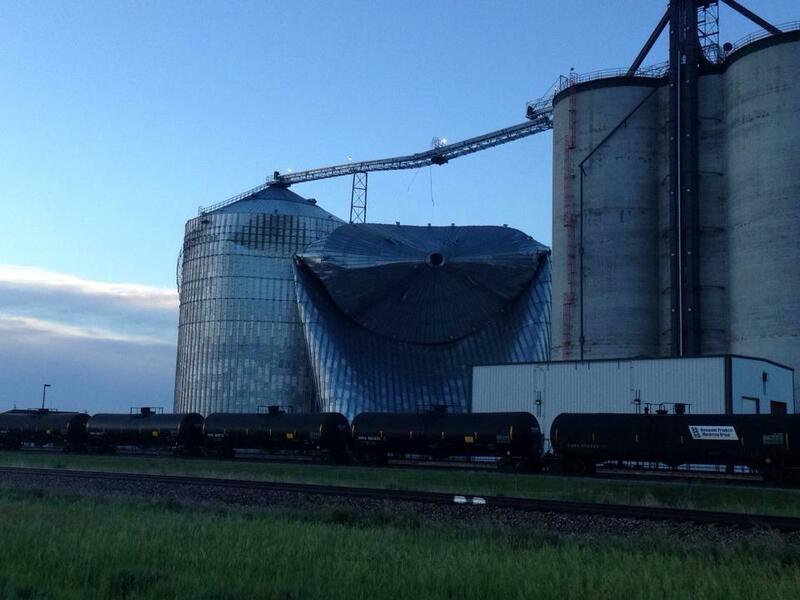 The next morning, my husband showed me photos of a grain bin next to the station that was damaged at the same time I got on the road. I didn’t have any choice but to trust God for my safety in my stupidity and when I saw what I had driven through, what he had protected me from–it reminded me of just how great and powerful God is. When I talked to my kids about the verses I choose for us all to journal with this week, they got a first hand lesson listening to mama’s story. Maybe you have a few to share yourself! This week’s verses for journaling scripture with your family is trust. 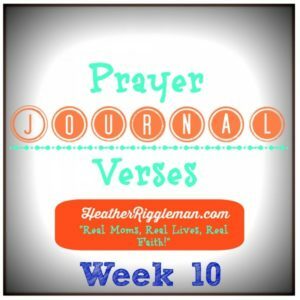 Scriptures for Family Prayer Journals Week 12 Trust. Ugh. If I see one more eye roll, I might scream. In fact, I did. After my son’s not so cool behavior, I stomped over to the bench cubbies and grabbed sheets of construction paper. Taking a deep breath, I asked my son and his partner in crime (his little sis) to adjust their attitudes. “Huh, attitudes?” My daughter Tori Grace questioned. SIGH…Being a mom is never easy. It takes several small steps to grow a beautiful big person. 🙂 Grabbing the dictionary we reviewed the definition of attitude. It prodded me to look up one of my favorite guys in the Bible (See Daniel 3:19) and we talked about whether or not he had a positive or negative attitude in the situation he was in. After all, the guy was kidnapped and enslaved. He would never see his home city or family again. Yet, Daniel kept his focus on God which created a godly attitude in all situations. BINGO. Finally, my kids were getting it. The rest of the week, we focused on several passages about attitude. 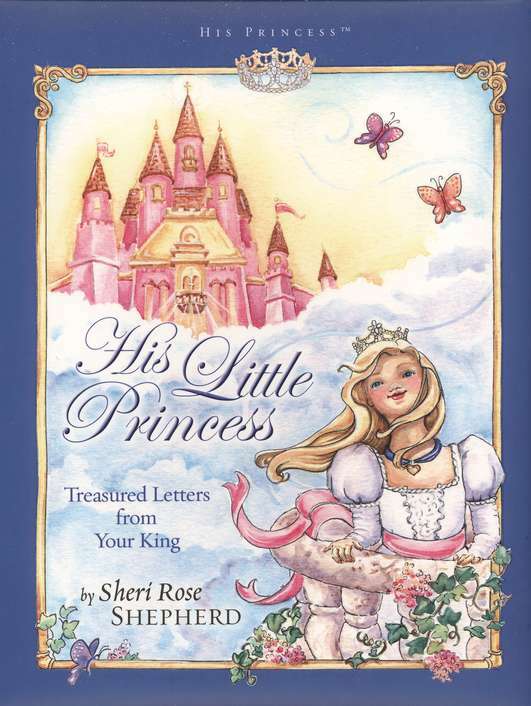 We would read a passage and talk about it before my kids would use their JOY acrostic to journal their prayers. Did your attitude help or hurt the situation? How did you attitude affect others around you? Ask them. How do you think Jesus’ attitude would have been in the situation? How could you have handled the situation better? Another busy week and I’m so thrilled my oldest will finally be done with school for the summer. I have so many plans to grow their faith and to grow closer as a family. I’m counting on the late nights catching fireflies, gooey s’mores, skipping rocks at the lake, and moments of worship on Sundays to hear God speak to my mothering heart. Our journals will become a part of our morning routine, after we wake up late, grab breakfast and wait for Elijah’s medicine to kick in. 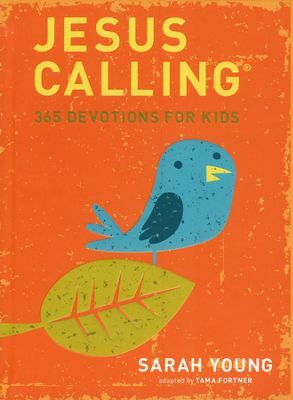 My son’s devotion time will consist of reading Jesus Calling. I love watching them read their devotionals and then read today’s verse, and I love it even more when I see their prayers scribbled, drawn, and scrawled across the pages of their journals. My dream is that this time of journaling and reviewing the same scripture together becomes a sweet memory of their childhood–where they’ll look back and think, “this is how my faith grew,” despite the difficult days, the moments when I bit my lip to get through it as they fought me tooth and nail to stay focused, to read through it and to just get it done. I assure you there will be days like that–and that is okay!!!! A quick note for my new subscribers. 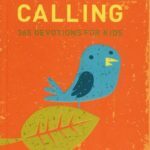 In January, I challenged my readers to Pray and Journal Scriptures as a family. Each Sunday I post verses for your family to use. Each family time is different, yours may consist of one journal where everyone reads the scripture and then writes their prayers. Others like mine have individual journals. Each family may write out simple prayer request, or use acrostics like the word JOY (Jesus.Others.Self) to journal, and still others simple recite the verse on the way to work, school, etc, talk about it and then pray out loud. Each family’s life is different–but the point is to make the Bible come to life in your child’s life. We’re only in week 10 because of my recent trip to the Philippines, crazy work schedule, and other things. But, like myself, I’m asking you NOT to give up–life happens. 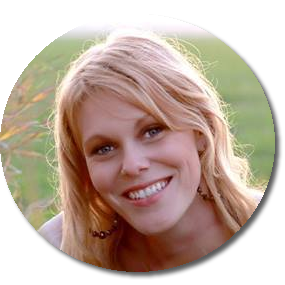 I’d love to hear from you, your struggles, your ideas, and tips. My prayer is my blog would become a community for mom’s who want to dive into real life issues, to grow their faith, to encourage each other and come here for encouragement–and I can’t do that without YOU. Leave a comment, post this is to your Facebook Page, Pin it to your Pinterest Page, talk about it with your friends.